After you have gained admission to a university, one of many other problems a student is likely to face is lack of Accommodation. I have to admit that studying in America really makes you spoilt for choice. You actually get to pick your room-mates in advance and depending on whether you're a freshman, sophomore, junior or senior, you can also pick the exact room you want. Imagine the luxury of these choices after coming from UNILAG. I was amazed. I opted to be a day student because I really did not want to deal with the accommodation wahala on campus. It was a real issue back then, and I imagine it is even worse now. For one thing, the growing student population was not put into consideration when the housing facilities were constructed. The same halls of residence that people in my parents' generation had used were still the ones being used when I eventually got there. That included the male hostels such as Jaja and Mariere, as well as the female ones like Fagunwa, MTH (Madam Tinubu Hall), Newest and the notorious Moremi Hall (notorious for aristo runs among other things). Inasmuch as I never lived on campus, I typically spent my breaks in between classes in different friends' rooms, so I had a fairly good idea of how they lived. People who had legitimately paid for bed space in an already over-crowded room, originally intended for maybe 2 students, was now accommodating about 8 or more students. Possibly 4 of them were legitimate room-mates, while the others were squatters who also chipped in. Add hygiene issues and NEPA issues and you can understand why I opted out. But I lived in Lagos, so I rode the bus to school every day. For those who lived outside Lagos or within Lagos but in areas that were too far from the campus (think Ajah, Ikorodu, etc), the high cost of transportation made on-campus accommodation necessary. But perhaps, the most fascinating aspect was that even though on-campus accommodation was problematic, it was in HIGH demand. There were waiting lists and the bed spaces or costs of accommodation were ridiculously high, especially for highly-coveted halls like Moremi. Not to mention the fact that your room-mates could be cultists. 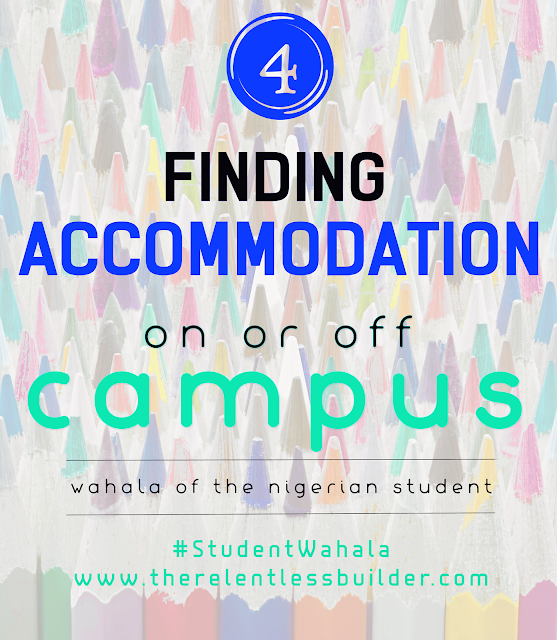 I have heard of universities in other states of Nigeria where on-campus accommodation is non-existent (e.g. LASU) and so off-campus housing is the norm. That, of course, has its own security issues, not to mention expenses, but students had to deal with this, in addition to all the other school wahala. I don’t see any solution to this other than building more hostels and restricting the number of students admitted. But to do that, there have to be alternatives as well e.g. more public schools for students to apply to. Now, it's your turn. If you attended a Nigerian university or polytechnic, did you live on campus or off campus? What was your experience like? If you didn't, have you heard any interesting stories with accommodation Wahala? Kindly share. Loved both experiences but if I have to choose again, would definitely be off-campus. Period. 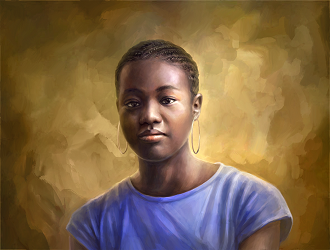 Abiola: Thanks for sharing your experience. I don't blame you for wanting to live off-campus. The on-campus housing on many campuses leaves a lot to be desired, and it is NOT free. Why not go where you'll get value for the money? The education sector like many other sectors has not been spared the pitfalls of politics. But there are people who are doing their part to make a difference. Thanks for your comment and for visiting too. interesting note about students accommodations. How much was the price proposed for the on-campus beds? And what would be a reasonable price you think? leaving on-campus is great cos' everyone is around but then i am not sure, you work better by being close to the campus.. In my first year, i was coming and going from my house for about a month. Lord!!! It was stressful! Kai! I'm so glad i finally settled in at March. I think more hostels need to be built and properly maintained. Vivian: I can't remember the exact price ... let's just say it was N 25, 000, and that was in 2000/2001. In short, it was expensive back then. A reasonable price would have been a lot less e.g. less than N 10, 000. For me, I did not live too far from campus, so coming from home was not a big deal. Some people did not have that option though. And yes, living on campus is ideal. It's something I think everyone should experience in their lifetime. Ibimina: I don't blame you. Going and coming from home can be a challenge, especially with traffic and you still have to study and keep up with school. In the end, living on campus is the ideal. Yes, we need more hostels and the old ones need to be renovated and properly maintained.